"Katie Fenske was born on Halloween in 1980 in Greenville, South Carolina. Through documenting her daughter's childhood, Katie was reintroduced to photography, over time developing an eye for light and color. In 2015, on a walk with a close friend, she began to study the exteriors of homes. Immediately drawn to the details of the empty or abandoned living place, Katie found a relationship to her portrait practice by removing the human figure. Katie's current work and process focuses on physically going to the spaces she photographs and spending time in these intimate moments, bringing them to light through her photography." "Katie Fenske is a landscape photographer living and working in South Carolina. Her process involves extensive observation and collection of the images that have surrounded her throughout her life. Her current series of photos contemplate absence through compositionally full images and speak to a figurative practice by intentionally leaving out the human form. Fenske’s photographs of spaces emptied or abandoned become just as intimate as portraiture and perhaps even more revealing. 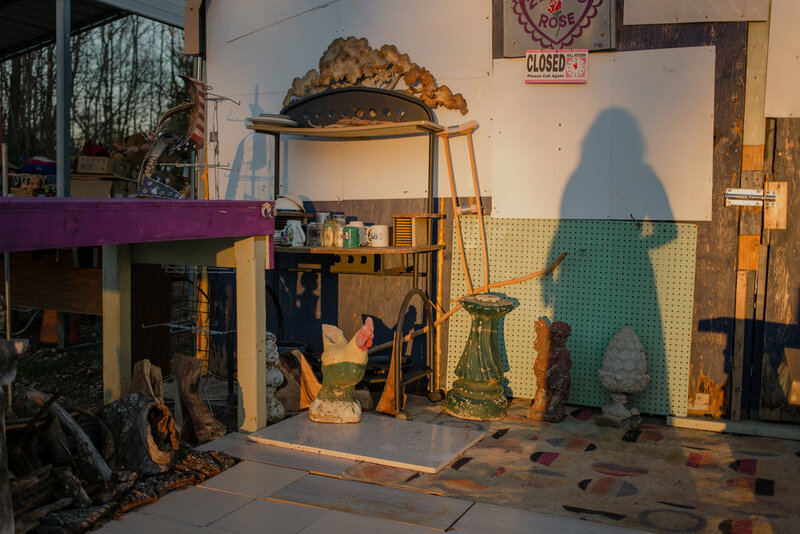 Through capturing unattended functional objects like a chair, car, or house, Fenske depicts an understanding of southern psychology, an understanding she shares with her subject. Seeking an honest portrayal, the photographs often hold an atmosphere heavy with smoke, fog, or eerie light, allowing the viewer an experience more so than a detached observation of the work. The inherent stillness of Fenske’s work, devoid of the figure, creates a quiet reverence in the viewer, enabling one to consider origins, absence, and place."